See what a decade of ebook usage data has taught us. Ten years of ebook data. 100 million usage records. 1194 libraries. Does Demand-Driven Acquisition (DDA) really helps libraries build more frequently used collections? Get the infographic now and find out. Did you know? 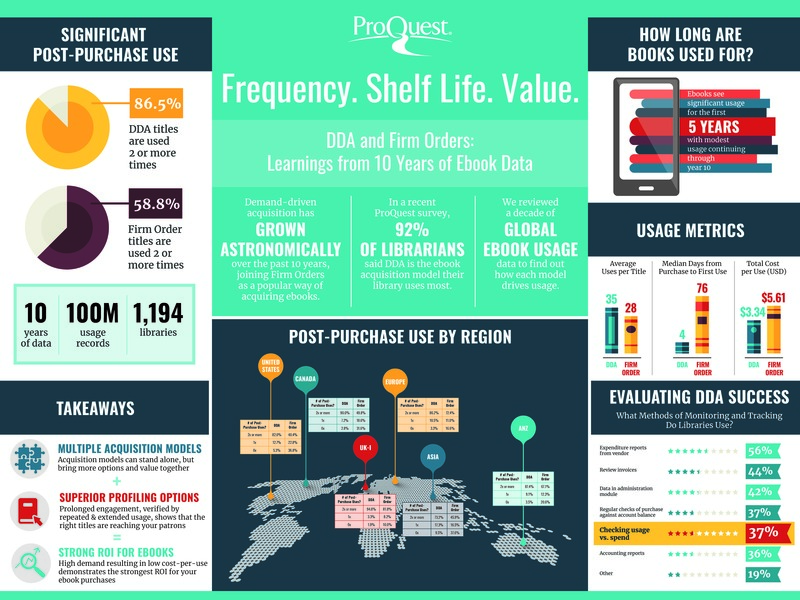 In a recent ProQuest survey, 92% of librarians said DDA is the ebook acquisition model their library uses most. Read about the results in the June 2018 whitepaper. • Don’t have Ebook Central? Get a free trial.